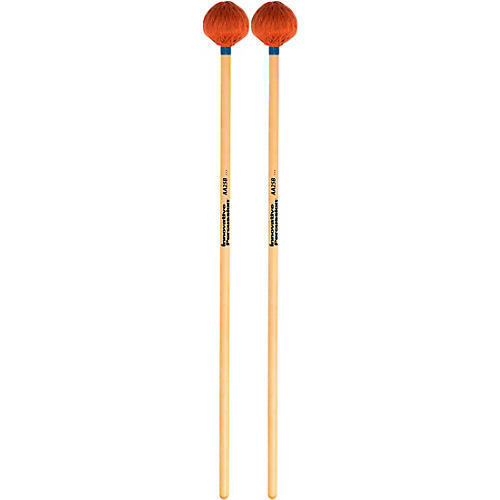 Medium vibraphone mallet with orange cord. Birch wood mallet with medium strike, excellent across the range of the instrument, a great general use pair. Full range vibraphone mallet, great for mid and upper marimba.